Carlon: Why did you join Breakthrough Providence? 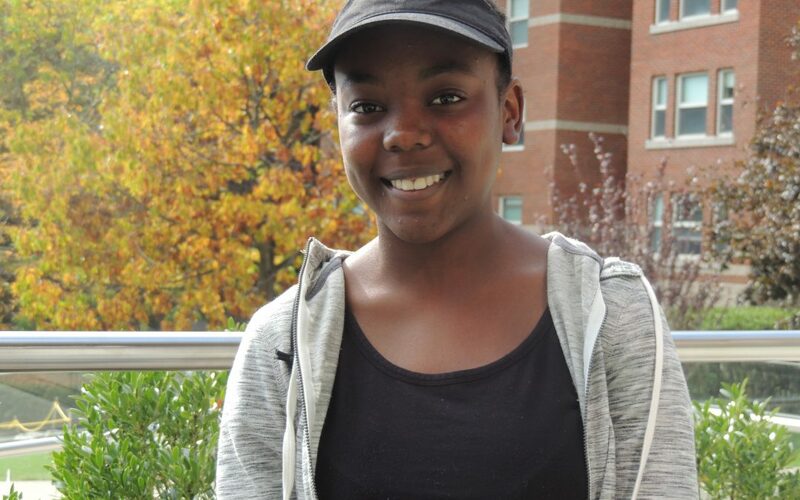 Raycine: I joined Breakthrough Providence as a middle school student because some BTP people came to my middle school and talked to us about it at an assembly. They talked about the many opportunities and different experiences. They also mentioned pool day and that really won me over to be honest. I know that sounds silly, but I was a 6th grader. I was like “oh my gosh a pool at a summer camp. Yay!” I was also really shy and they talked about how you get a chance to break out of your shell and meet new people. Then, there was this social justice focus, and I wanted to learn more about that too. What led you to come back to BTP as a volunteer and then later as a teacher? Honestly, I came back as a volunteer because I was too young to be a teacher at the time. I knew I wanted to teach English because I did well in that subject. I also loved the books we read when I was a student at Breakthrough. It was A Raisin in the Sun my 8th grade year and A Midsummer Night’s Dream by Shakespeare my 7th grade year. I knew I would enjoy conducting an interactive class about these really cool books that you can learn a lot from. I also really wanted to get into different discussions with middle school students and explore their thinking process. What has been your most rewarding experience at Breakthrough Providence? My most rewarding experience honestly has been the entire thing. Just being at BTP initially, getting to grow, and growing with the other students that were there was very rewarding. Now, I’m in different programs, and I see other students from Breakthrough everywhere. What advice would you give someone teaching with Breakthrough Providence? You should definitely try it because it’s very rewarding and teaches you a lot. You get to build relationships with the students and the teachers. I find that very important because my teacher when I was in 7th grade truly touched my heart. I love her. She was the person who told me to go out there and talk to new people because she noticed that I was always with the same girls. I felt like she made me feel stronger, and I wanted to do that for some of my students. I feel like I was able to do that. The relationships you build with the people there are amazing and you always remember them.